Puppies from our kennel are vaccinated, chipped and have the international, red pet passport. All puppies receive a certificate with quality label of the CertoDog certification as well as an original SKG (Swiss Kennel Club) pedgree. 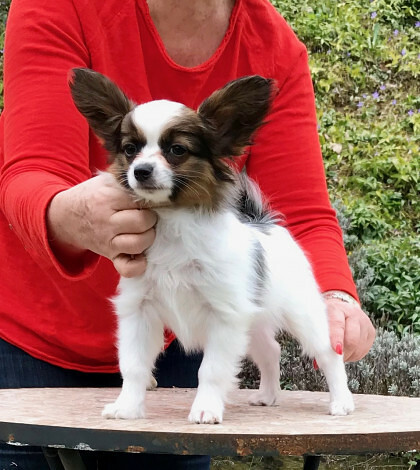 For 17 years now I breed the breed Papillon, since 2009 - so for 10 years - also the Phalène. 7 years ago, my daughter Celina, who had already gained experience in dog sport agility and junior handling, joined the team. 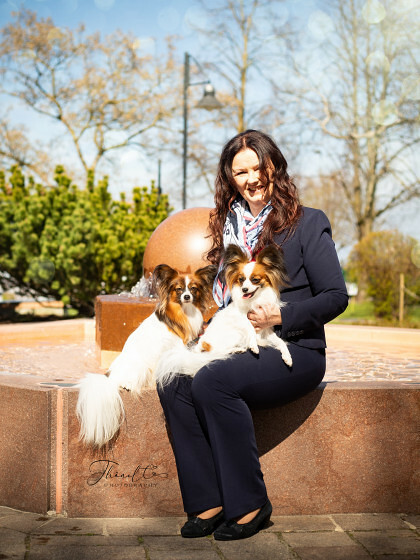 With heart and soul we dedicate ourselves to our hobby, the breed of the breed dog Papillon & Phalène, have even made this partially our profession. Celina is a trained animal keeper and groomer. Together we have the groomer / shop ELRAM's Dog World in Winterthur. 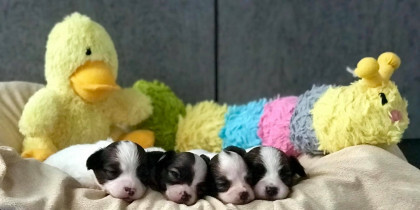 Puppies from Olivia and Figaro arrived!